2018 was the year we saw the longest UFC title reign in history come to a surprising halt. Arguably the best ever, Demetrious Johnson was finally dethroned from his seat atop the flyweight kingdom. His defeat to Henry Cejudo wasn’t the only shocking result within 2018. As the year came to a close, so did the aura of invincibility from Cris Cyborg. It took only 51 seconds to snap a winning streak that lasted nearly 13 years and 20 professional MMA fights. Although both Henry Cejudo and Amanda Nunes both managed to record two memorable underdog victories, neither of them were the biggest UFC upsets in 2018. Below is a list of the UFC fighters that defied the betting odds the most. All odds specified below are based on 5Dimes closing odds. To start betting on 5Dimes, click here. In this blog article I will go over why a fighter was a big favorite and how they lost. If you wish to see the biggest upsets in 2019, you can watch the UFC on ESPN with Sling TV. Why did Kevin Lee close as a -335 favorite in this matchup? Lee had won 6 out of his past 7 UFC fights. Lee had a seven inch reach advantage over Iaquinta. Lee dominated Edson Barboza in his previous fight. Lee has the brute strength to lift fighters into the air and then slam them down. This physical trait was considered to be a big weapon against Iaquinta. Lee has five career rear naked chokes. At one point he had three consecutive ones against Chiesa, Trinaldo, and Mustafaev. On the other hand, half of Iaquinta’s loses have come by some variation of a choke. 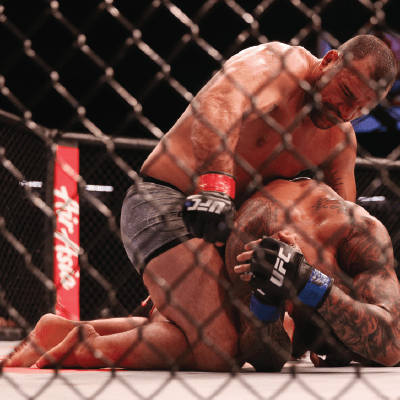 Lee didn’t have many takedown attempts – he didn’t shoot for a single takedown in rounds 1 and 4, and he only attempted one takedown in the first 2.5 rounds of the fight. 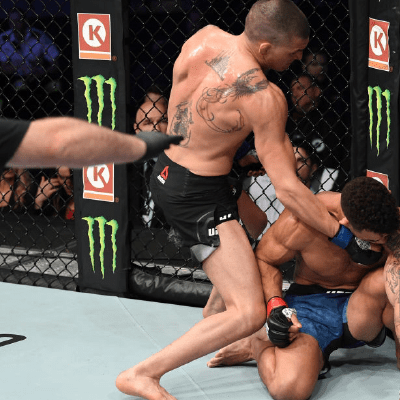 Iaquinta’s octagon control – Lee backpedaled nearly the entire 4th round and the last two minutes of the fifth round, while Iaquinta maintained impeccable octagon control. Iaquinta won the striking exchanges – Lee was consistently getting countered off the jab and was circling into Iaquinta’s right hand (power hand) too frequently. It became evident that the only advantage Lee had in the striking department was the body kick from the southpaw stance. Why did Lauren Mueller close as a -350 favorite in this matchup? Recency bias was in full effect. Mueller showcased her boxing skills and head movement against Dobson in her previous fight. Yanan didn’t really showcase anything. She looked like an amateur who didn’t even understand the rule guidelines of the UFC. She continually grabbed the fence and poorly disguised a shoulder injury. The odds for this matchup were perplexing. Usually, a UFC fighter making their second octagon appearance, after recording a 29-28 decision win in their first fight, don’t close as a -350 favorite. Mueller had poor submission defense – Mueller didn’t stack her opponent to negate the leverage from Yanan’s armbar attempt. She stayed on her knees, when she should have done this. Lauren Mueller’s lack of experience – she had only five professional matches before facing off against Wu Yanan. Lauren Mueller’s poor weight cut – on Instagram, Mueller posted that she was sick and had the worst weight cut of her career. Why did Sam Alvey close as a -350 favorite in this matchup? Little Nog hadn’t fought under the UFC banner in 22 months. Ring rust is usually embedded into the odds, especially for an older (over 40 years old) fighter. Little Nog was over 42 years old at the time of this matchup. How did Little Nog win? Timing Alvey’s check right hook – Sam Alvey started off the first round doing okay with his inside low kicks and his jab, but as the fight progressed Little Nog began to come over the top of Alvey’s check right hook. Before Little Nog knocked out Alvey with that technique, he began to get Alvey’s timing and range on that punch. Alvey reflexively threw that punch as a defensive mechanism to combat the pressure that Little Nog was putting on him, and it began to get predictable. Alvey has a predictable striking attack – being predictable is rarely ever a beneficial quality in a fight. Power is the last thing to go – Little Nog still has power in that left hand. Why did Chad Laprise close as a -400 favorite, in this matchup? Before this matchup, Laprise was 5-1 in the UFC, when fighting in Canada. His matchup with Lima took place in Toronto. Lima was on a 3-fight losing streak prior to this matchup. Laprise was thought to have the faster hands and the superior boxing technique. Disguising the right hook – for the majority of this fight, Lima was throwing jabs. Every time Lima would press forward, he would start his combination with a jab. For the KO sequence, he came forward, but this time instead of starting off with the jab, he only threw the right hook. What cost Laprise is that he went to parry the jab, but he guessed wrong and left an open pathway for the hook. Chad Laprise’s chin – Laprise is reaching a point in his career where he can’t take a shot. Laprise has now suffered back-to-back devastating knockouts. Why did Nordine Taleb close as a -400 favorite in this matchup? Silva was coming off a 3.5 year layoff. Silva dealt with numerous injuries during his periods of inactivity with the UFC. One of them was a broken foot. There is a size discrepancy between Taleb and Silva. Taleb is 2” taller and has a 3.5” reach advantage. Taleb had a lot more UFC experience. Taleb had 8 UFC contests prior to his encounter with Silva, while Silva had only two previous UFC fights. Taleb was coming off a spectacular first round knockout victory over Danny Roberts. As usual, betting lines get inflated after a fighter overachieves or wins in dominant fashion. A single leg takedown – Silva was at a pronounced disadvantage in Muay Thai technique and physical strength. Silva found an opportunity to catch an inside low kick. Before that kick was thrown, Silva waited for that foot to leave the ground. He was unsuccessful in getting a takedown when both of Taleb’s feet were planted on the canvas. Once Silva got a hold of Taleb’s right leg, he instantly started to run the pipe. Taleb didn’t react quick enough to defend that. 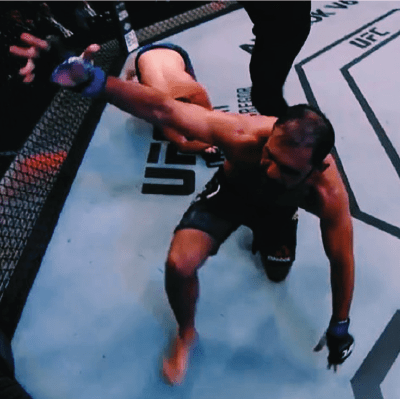 Silva advancing position – once the fight was taking place on the ground, Silva was automatically improving his position. He slid into mount with relative ease. Considering that Taleb was only taken down once in his past four fights, there was a lack of evidence for bettors to know how Taleb would perform in that area. To put it lightly, Taleb underwhelmed in this scenario. To escape mount, all Taleb was doing was bridging or turning over to his back. He turned to his back within seconds, too. After doing that, a black belt like Silva was easily able to wrap that rear naked choke in and apply his dozen years of experience in squeezing necks. Why did Beneil Dariush close as a -420 favorite in this matchup? Hernandez was coming in on less than two weeks of notice to prepare for the fight. Dariush was a perennial top 10 fighter in the UFC lightweight division. Dariush has faced the better level of competition. Hernandez was making his UFC debut. According to the statistics on betmma.tips, out of 415 UFC bouts when a debuting fighter squared off against a veteran, the debuting fighter lost 55% of the time. Stance switching – Hernandez fought in both stances. He transitioned to southpaw moments before he knocked out Dariush with the left straight. Quicker hand speed – Hernandez showcased astonishing speed and the destructive capability to intercept the head movement of Dariush. 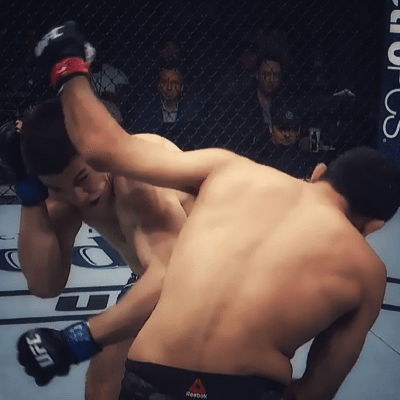 Before the KO, both fighters threw strikes at roughly the same time, but the left straight from Hernandez caught Dariush as he was gearing up for an overhand left. Why did Te Edwards close as a -450 favorite in this matchup? Edwards got a KO in his previous matchup before the commentators managed to put their headsets on. Although this looks glamorous, it does very little to predict future success (win %). Bettors should not overvalue a fighter who recently got a first round finish. When a fighter does get a first round KO, they’re 37-37 (50% win pct) in their next bout (as of this writing), which means that a reach advantage is better at determining a future winner than a prior first round knockout. There was no footage on Don Madge. In my experience of researching this fight before it happened, the last fight of his I discovered was six years old. When all you have is old film to compare a skill set to a guy (Te Edwards) who finished 85.7% (6 of 7) of his opponents in the first round, it makes sense oddsmakers would pick the more appealing résumé. Edwards competed at a NCAA Division I college for wrestling (Arizona State) where he placed 3rd in the PAC-10 championships. Edwards didn’t keep his hands up – in the combination that first dropped Edwards, after Edwards threw his 1-2 combo, he didn’t retract either punch back to protect his chin. He also didn’t move his head off the centerline. The lack of striking defense was the main culprit as to why he lost. Edwards was untested – Edwards finished nearly all of his previous opponents in the first round. This was the first time that Edwards got knocked down and almost submitted in a round. After the initial knock down, he resorted to his plan B of wrestling. Although he was able to get Madge down, he struggled to defend submission attempts. This had to diminish the confidence of Edwards since he found himself in a bad spot whether he boxed or grappled with Madge. Since Edwards was untested, he didn’t have any experience in making in-fight adjustments. He didn’t have to resort to anything beyond plan B. Why did Demetrious Johnson close as a -470 favorite in this matchup? Johnson had the longest title reign in UFC history (11 title defenses). Johnson dominated Cejudo in their first match. Johnson was widely regarded as the number one pound-for-pound mixed martial artist. Johnson won 13 UFC fights in a row and hadn’t lost in close to 7 years. The body-lock inside trip takedown – I counted 3 takedowns that Cejudo got from using this technique. Without those takedowns, the scorecards would have favored Johnson. 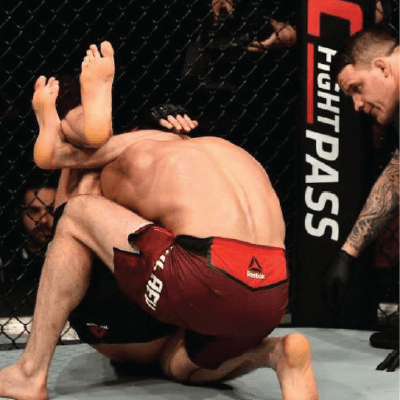 Cejudo avoided the clinch – since Cejudo lost their first matchup from Johnson throwing some brutal knees in the clinch, Cejudo managed to spend less than 30 seconds in this position throughout the whole 25 minute fight. Johnson suffered numerous injuries – before the fight, Johnson spent 10 months recovering from shoulder surgery. During the fight, he suffered a broken right foot and a torn LCL in his right knee. It’s impossible to know how much of a factor these injuries played into the outcome of it, but they had some effect. Why did Tyson Pedro close as a -525 favorite in this matchup? Tyson Pedro is 10 years younger than Mauricio Rua. According to betmma.tips, when there is at least a 10 year age gap between competitors, the younger fighter wins 66% of the time (103/156). At 37 years old, and having 36 legendary fights on his record, Mauricio Rua has put a lot of wear and tear on his body. The betting public and oddsmakers must have thought that Rua was competing too far beyond his prime. Tyson Pedro was fighting in his home country of Australia. Before losing to Rua in Adelaide, Pedro was 6-0 in MMA bouts that took place in Australia. Pedro tore his ACL – this reportedly happened in the second round, according to Sporting News. The injury occurred when Pedro stepped awkwardly while circling away from Rua’s right hand. This injury compromised Pedro’s takedown defense, ability to scramble back to his feet, and maintain balance after his opponent landed a strike. Why did Magomed Ankalaev close as a -800 favorite in this matchup? Ankalaev is a Dagestan born fighter and was named the 2015 Mixed Martial Artist of Russia by the Russian MMA federation. Ankalaev was undefeated through 10 pro MMA fights and had three consecutive knockouts before entering into the cage to face Craig. The betting public completely faded (bet against) Paul Craig due to the fact he lost back-to-back matches in the first round. Paul Craig had less than 6 years of MMA training before competing against a fighter ranked as a Master of Sports in Sambo. Paul Craig said in an interview with Bloody Elbow – “I’m on my last fight, I feel like a wounded animal”. Describing yourself as a wounded animal doesn’t show much personal confidence. Foreign territory – This was Ankalaev’s first time competing away from Russia and his UFC debut. Playing possum – Werdum used this strategy to defeat Fedor. Craig played the same game, whether knowingly or not. Craig showed absolutely zero threat from the opening bell until the triangle attempt. Ankalaev became complacent and this caused his submission defense to suffer. Lack of fight IQ – If Ankalaev was an experienced veteran, he might not have tapped with only a second remaining in the fight. 1. You can bet on any underdog at 5Dimes. 2. Most big upsets come by way of a stoppage. 8 out of the 10 upsets mentioned above were finishes. Only Cejudo and Iaquinta won by decision. 3. A lack of experience is a common factor as to why a big favorite loses. Mueller, Edwards, and Ankalaev only had a combined total of 1 UFC fight between them, before their losses mentioned above. 4. Here is a list of reasons as to how a big favorite loses: lack of fight IQ, fighting outside the country for the first time, injuries during the fight, not keeping their hands up for striking defense, lack of UFC experience, and poor weight cuts. 5. Takedowns are important! in 4 out of the 10 big upsets above, the underdog got at least one takedown. 6. Comment below on who you think will have the next big upset in the UFC. 7. If you enjoy this content, share it on social media and subscribe to my blog to receive notifications on when a new article gets published. This site is known as a walk-by way of for all of the info you needed about this and didn’t know who to ask. Glimpse here, and also you’ll positively uncover it.